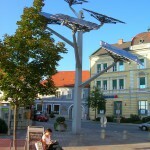 As you recall our May 30, 2012 post in http://sunisthefuture.net about the Solar Tree, the brilliance behind this combination of art and function may be able to branch out to touch many many more earthlings in the years to come. 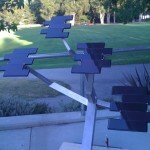 After my research on the subject of Solar Tree post in http://sunisthefuture.net , I am naturally drawn to any thing that is connected to any mention of solar tree…and came across this Solar Dream/Solar Tree Foundation/Solar Tree Project:San Francisco Bay area…. It all started with a dream….A solar Dream….and a magical enchantment found in the trees…. 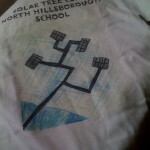 a simple e-mail communication between a school teacher and an artist…on opposite coasts of the US…and the SEED of The Solar Tree Project found a home… and germinated……nurtured by the hopes and dreams of children of North School…the support of administration, teachers..and parents …..it grew…and grew…into a project with intentions to erect Solar trees all over the GLOBE! The students of the Solar Tree Club at San Francisco Bay area school and students of Ms. Ping and Ms. Bautista’s Enrichment Program will collaborate with famous artist, and sculptor Mr. 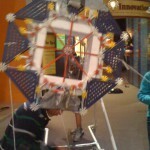 Rein Triefeldt, to erect the first ever… Solar Kinetic Sculpture Tree. This Solar Kinetic Sculpture Tree will be erected on our school campus as the product of ongoing learning about alternative energy and conservation in class. It will stand as the first major public work of art in San Francisco Bay area community and the birth mother of many other art trees all over the world. The Solar Tree sculpture will stand as a hopeful reminder to our community of the childrens’ hopes and dreams for a world that understands the importance of global collaboration and a commitment to a sustainable Earth. 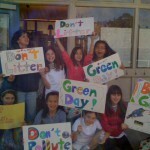 The initial spark of this dream had generated a great deal of energy and enthusiasm for students in San Fran Bay area school. Here at Sun Is The Future of http://sunisthefuture.net , we’d like to be the catalyst for as many successful solar projects on planet earth as possible. Perhaps then, we can spread more sunshine across our planet earth. First Solar Loan At Kiva Was Fully Funded Within Ten Days! Hip! Hip! Hurray!!!! It is my greatest pleasure to inform you that the first 100% Solar business loan (for micro Solar Lighting Kits in Tanzania) at Kiva and also the biggest loan ($49525)at Kiva EVER (thusfar) became fully funded within ten days after its listing! A great round of applause for all of you (1034 lenders from all corners of the planet earth)who have participated: thank you to my friends and readers at Kiva, Facebook, Twitter, Sunisthefuture, etc. 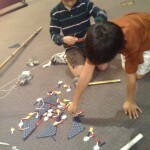 This has given us great hope for potential future solar entrepreneurs throughout the planet earth. This has clearly demonstrated to us that individuals, regardless how much each and/or any of us has in asset, we can combine our effort cooperatively across the globe to light up our planet using Sun’s Energy. We will look forward to helping more solar entrepreneurs to stand on his/her/their own two feet in spreading the sunshine across our planet earth. At this point, I’d like to share a celebratory tune by the Beatles to thank you–Here Comes The Sun, with all of you…. Last I checked, you come from 144 countries on this planet earth. Some of you have wanted to make donations to Sun Is The Future (http://sunisthefuture.net). But at the moment, since its non-profit status had not yet been officially established, I would recommend that any one who wants to take part in contributing to the earthly transition/movement toward solar energy to become a lender at Kiva (it can start from as little as $25. If you are a new Kiva lender, you can take advantage of the free trial use of free $25 to join Kiva and Sunisthefuture Team at Kiva) by specifically gearing toward the largest Solar Loan EVER at Kiva: Loan 426323 from Tanzania by Martin. But keep in mind that this is not for charity but for lending to small entrepreneurs in Tanzania. Martin needs our help to complete funding this loan. Let’s give him a hand! I have been working in Tanzania with my wife for two years now, and we have been using our previous experiences to help in the development of education and business. We have left two grown-up children to their own careers in the UK. One of the first things that struck me was the limited use of solar power for a country with such a huge amount of sunshine. This was particularly noticeable coming from the UK! When we saw that people were using homemade kerosene lamps at night we felt there had to be an opportunity to make solar lights more widely available. A large part of my work for the Anglican Church was starting a wholesale business to import and distribute solar lights to micro-entrepreneurs and small businesses who want to sell them in villages. Over 80% of Tanzanians have no access to mains electricity and they use dangerous, unhealthy and costly kerosene lamps as their main source of lighting, so there is a huge market for affordable, quality micro-solar kits. Watu na Nuru, which means “Light for the People” in Swahili, is the name of a growing collection of businesses established with the support of the Anglican Church of Tanzania, with the aim of making high-quality, affordable solar lighting kits available to rural communities. Watu na Nuru needs to have sufficient quantities of the right products at the best time of year (when farmers bring in their harvest). We need funds to ensure product is available when people are ready to buy it. When we are not selling product we provide training and technical support to retailers. We have developed a partnership with Barefoot Power Australia, who make what we believe are the best micro-solar systems on the market. My greatest challenge in this role is to get the right quantity of stock and spares to support the growing business. Your loan will support our stock so that more village entrepreneurs can sell these lighting solutions. My favourite part of this job is seeing a first order of product heading off for a distant part of the country to one of our small retailers just starting a new business. You are also welcome to join us on the Sunisthefuture Team at Kiva ! I’ve received comments/emails from both ends of the spectrum, from optimism to pessimism, regarding our relation to Iran during 2012. In addition to the possible solution that came to me through inspiration of The Aurora clip in my April 27, 2012 post, I’d like to share a piece of wonderful information hopefully will jolt us all to opt for the optimistic end during this year. I am referring to a very special and rare event that will take place on June 5th/6th of 2012, the Transit of Venus. It is among the rarest of predictable astronomical phenomena, occurring in a pattern that repeats every 243 years, with pairs of transits eights years apart ( a transit of Venus took place on June 8, 2004 and the next will be on June 5th/6th, 2012) separated by long gaps as much as 121.5 years and as little as 105.5 years apart. Such periodicity is a reflection of the fact that the orbital periods of Earth and Venus are close to 8:13 and 243:395 commensurabilities (property of two orbiting objects in rational proportion). The previous pair of transits were in December 1874 and December 1881. 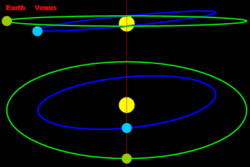 After 2012, the next transits of Venus will be in December 2117 and December 2125. A transit of Venus across the sun takes place when the planet Venus passes directly between the Sun and the Earth, becoming visible against (obscuring a small portion of ) the solar disk. 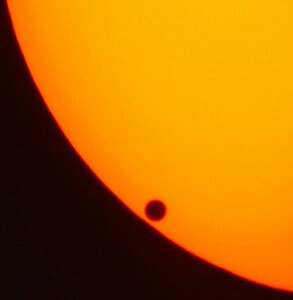 During transit, Venus can be seen from Earth as a small black disk moving across the face of the Sun. The duration of such transits is usually measured in hours. The transit of 2004 lasted six hours. A transit is similar to a solar eclipse by the Moon. While the diameter of Venus is almost four times that of the Moon, Venus appears smaller, and travels more slowly across the face of the Sun, because it is much farther away from the Earth. A transit of Venus can be safely observed by taking the same precautions used when observing the partial phases of a solar eclipse (seen in the above video clip). Staring at the brilliant disk of the sun with unprotected eye can quickly cause serious and often permanent eye damage. So be careful on June 5th/6th of 2012. I believe the year 2012 may possess the fantastically rare opportunity for such tremendous peace and harmony from the transit of Venus…that as long as we choose to see and seize it…there may still be Peace in Mideast and Peace on Earth….